The Thor Poly Student Junior ICT chair is suitable for most children 7 - 11 yrs. 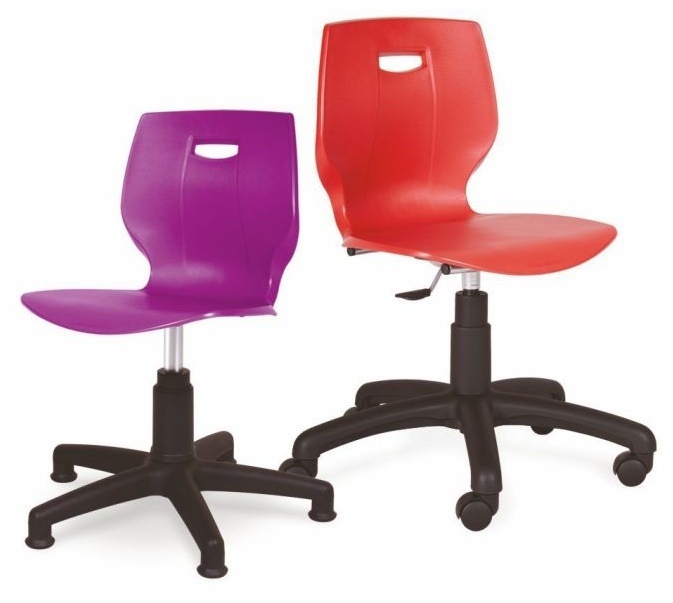 The chair is designed to encourage excellent ergonomic posture within the teaching environment. The shell is available in 9 attractive colours, the 5-star base is available in black or chrome. It has an easy to use a gas lift or hand wheel height adjustment and the option of castors or glides. This Junior Student ICT chair features an extra wide waist for guaranteed comfort.